After Kerala was ravaged by floods in August this year, Marxist Chief Minister Pinarayi Vijayan unveiled a slew of measures to mop up funds for relief and rehabilitation. They included cancellation of several State-sponsored festivals and tourism carnivals that normally happen between September and March, the peak tourist season in Kerala. He also came up with another scheme which his government claimed was the most innovative of the lot. Called “Salary Challenge”, it sought that all government employees donate a month’s gross salary to the Chief Minister’s Distress Relief Fund (CMDRF). Those who did not want to contribute had to furnish a written no-consent declaration. Last week, the Supreme Court agreed with the Kerala High Court that it wasn’t a fair deal and dismissed the state government’s appeal against an HC order staying the Salary Challenge. In a major blow to the CM, the Court observed that the government order (GO) issued on September 11, 2018, amounted to forcing an employee to heap humiliation upon oneself by submitting such a no-consent declaration. In the impugned order, a division bench of the Kerala High Court had said that Clause 10 of the GO on Salary Challenge amounted to compulsion of employees to contribute one month’s salary to the CMDRF. Now, with the landmark verdict by the Supreme Court on the government’s appeal against the High Court’s stay, the state government has to issue a fresh GO modifying the earlier one. The court order has come as a slap in the face of Chief Minister Vijayan and Finance Minister TM Thomas Isaac who had been coercing the employees to submit a no-consent declaration to avert donation of their salary. 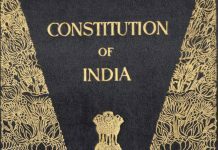 Speaking to India Legal, NGO Sangh state General Secretary SK Jayakumar said the apex court order was a landmark one as it would restore the prestige of the government employees. “Both the chief minister and the finance minister were trying to coerce the government employees. Our stand was that employees should be allowed to contribute as much as they can afford,” Jayakumar said. He added that while 60 percent of the employees were apolitical, pressure was being mounted to make them contribute. Moreover, many of the government employees themselves were victims of the flood and struggling to rebuild their lives, and so compelling them to join the Salary Challenge was unfortunate. In some families, where both husband and wife serve the government, both would be forced to contribute. The government’s contention before the Court was that there had been no compulsion on the employees to contribute to the CMDRF and the insistence was only on providing the no consent affidavit if they didn’t want to donate. 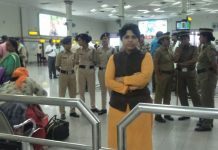 But NGO Sangh argued that the compulsory nature of the GO amounted to extortion, and publicising the list of those who submitted no-consent affidavits amounted to public humiliation. They were apprehensive that nonconsent affidavits would invite the wrath of the government and the employees would have to face hostile treatment. State Finance Minister Isaac admitted that the apex court verdict on Salary Challenge was a setback to the government. He said the government would soon amend its order in view of the verdict of the Supreme Court. “The apex court verdict is a huge setback to us. However, the government will soon amend the order and issue a fresh one. The employees’ contribution to the CMDRF will be deducted only from those who have given the consent to do so,” he said. Ever since the floods hit the state, the chief minister and the finance minister were mounting pressure on employees who were reluctant to part with their salaries. At one stage, the chief minister even asked what answer employees would give their children if they were asked about their contribution for the state’s rebuilding. The chief minister has also been critical of the centre for not giving the nod to accepting contributions from countries like the UAE and Thailand. The prime minister had told the chief minister that the government’s policy since 2004 was against accepting financial assistance from other countries. However, the prime minister had assured the chief minister of all possible financial assistance to the state to deal with the crisis. Already, the centre and some central government institutions had granted over Rs 1,500 crore worth of assistance. Further, sufficient funds had been offered for reconstruction of the National Highways. Surface Transport Minister Nitin Gadkari had announced another Rs 450 crore more for the reconstruction of roads. Earlier, he had announced Rs 250 crore to repair the damaged roads. Assurance also had been given of help for farmers and those who lost houses that the houses would be reconstructed by bringing them under respective central government schemes. The chief minister has been critical of rejecting the state ministers’ plea to allow them to visit other countries to garner funds from Indians settled abroad. Though the chief minister was allowed to visit the UAE last week, at a function attended by the diaspora he lashed out at the centre’s attitude towards the state. The CM’s open criticism of the centre in the presence of the members of the UAE ruling royalty raised many an eyebrow. Vijayan had earlier claimed that the UAE had offered to make a contribution of Rs 700 crore but there was no official confirmation from the Emirates on the issue. The state finance minister too has been critical of the centre for not allowing the state to accept funds from outside. 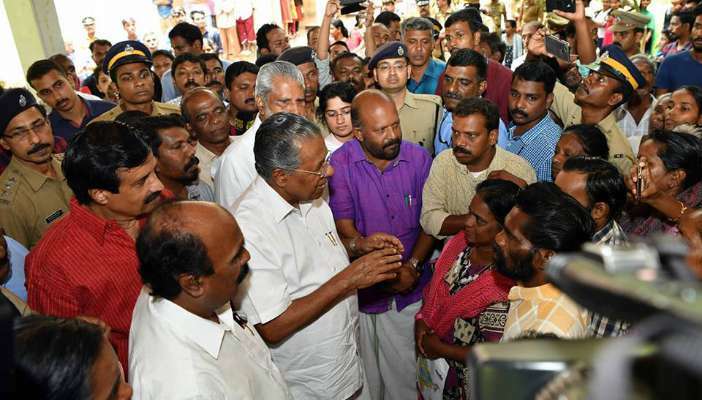 Terming the central assistance of Rs 600 crore sanctioned immediately during the floods as “a mere pittance”, he stated that the centre was not allowing the state to collect assistance from abroad as it had political differences with the LDF government. Though the CMDRF has already received around Rs 2,000 crore, a majority of the flood victims have received only Rs 10,000 each as assistance. While the United Nations’ estimate of the loss incurred in the flood stands at Rs 31,000 crore, the state government’s assessment is nearly Rs 50,000 crore. The apex court order doesn’t leave the state any poorer. It has already collected Rs 1,500 crore from the 2.88 lakh of the 4.81 lakh government employees and teachers who had agreed to the Salary Challenge.